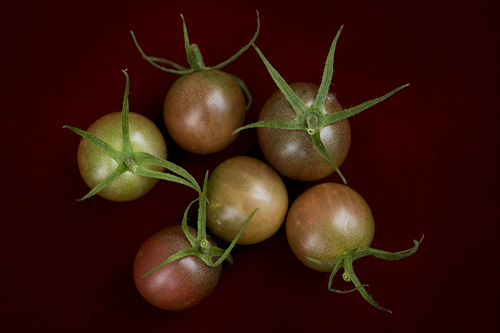 The Black Cherry – Tomato Town organically grows heirloom tomatoes in the greater Kansas City area as well as Johnson County, Leawood, Lenexa, Olathe, Shawnee, Merriam KS, Independence MO and Kansas City Missouri, KCMO. Varieties include: Cherokee Purple, Brandywine, Stupice, Carbon, Black Krim, Black Cherry, Yellow Pear, Absinthe and Aunt Ruby’s German Green. 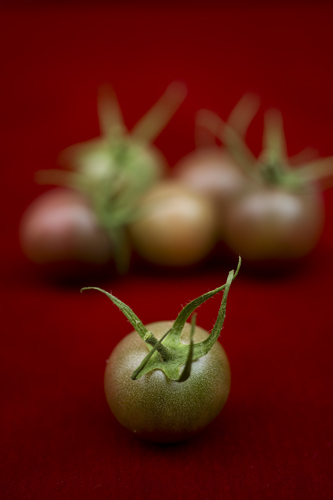 The Black Cherry is, by far, our favorite cherry tomato. This modest fruit has the all the intensity of the black varieties. Production has been slow, but we have savored each and every one! We’ve found the best time to eat them is right off the vine. Once warmed by the afternoon sun, the warm gush of tomato is a flavor explosion. This entry was posted on Friday, August 21st, 2009 at 9:49 am. It is filed under TomatoTown Favorites, Varieties. You can follow any responses to this entry through the RSS 2.0 feed.